The LACMA Campus is comprised of the east campus (LACMA East), located within Hancock Park, and the west campus (LACMA West) located west of Hancock Park between Fairfax Avenue and the vacated Ogden Drive. The LACMA Campus is within the Wilshire Community Plan Area of the City of Los Angeles (City). Museum Associates, a private nonprofit public benefit corporation organized under California law and doing business as the Los Angeles County Museum of Art, manages and operates LACMA under the authority of the County of Los Angeles. In partnership with the County of Los Angeles, Museum Associates proposes to construct the LACMA Building for the Permanent Collection (the Project), within LACMA East, over a portion of Wilshire Boulevard, and within the adjacent property owned by Museum Associates on the south side of Wilshire Boulevard at the southeast corner of Wilshire Boulevard and Spaulding Avenue (referred to as the Spaulding Lot). The Project includes a replacement Museum Building and a new parking facility referred to as the Ogden Parking Structure. The proposed 387,500-square-foot Museum Building would replace four buildings within LACMA East collectively comprising approximately 392,871 gross square feet: the Ahmanson Building, the Hammer Building, the Art of the Americas Building, and the Bing Center, which contains the LACMA Café, the Dorothy Brown Auditorium (which provides 116 seats), and the Bing Theater (which provides 600 seats), and the outdoor covered areas in the Los Angeles Times Central Court. Overall, the Museum Building would result in a decrease in the square footage of museum buildings by approximately 5,371 square feet and a reduction in the combined maximum theater size from 716 seats to approximately 300 seats. The Museum Building is designed by architect Peter Zumthor and is proposed with seven semi-transparent structures at the ground level (referred to as Pavilions), that would support an elevated, continuous, transparent main exhibition level. The Museum Building would extend over Wilshire Boulevard to the Spaulding Lot. The design of the Museum Building would also enhance the outdoor experience for museum visitors and guests by expanding outdoor landscaped plazas, public programming and educational spaces, sculpture gardens, and native and drought tolerant vegetation that would be integrated with the Museum Building and existing uses within Hancock Park. The Ogden Parking Structure would be developed southwest of the intersection of Ogden Drive and Wilshire Boulevard on three contiguous parcels owned by Museum Associates (referred to as the Ogden Lot). The Ogden Parking Structure would replace the existing surface parking currently on the Spaulding Lot and would provide the same number of spaces currently located on the Spaulding Lot. The Notice of Completion and Availability of Draft Environmental Impact Report and Notice of Public Meeting is available for review by clicking here. The Draft EIR and Appendices are available for review electronically via the pull-down menus below. 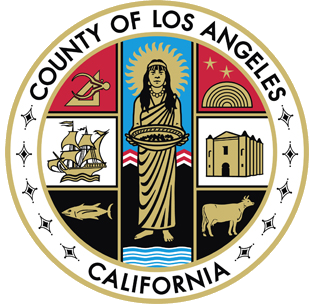 If you wish to review a hard copy of the Draft EIR, you may do so, by appointment, at: Los Angeles County Chief Executive Office/Capital Programs Division, Kenneth Hahn Hall of Administration, 500 West Temple Street, Room 754, Los Angeles, CA 90012. To make an appointment, please contact Peter Burgis at pburgis@ceo.lacounty.gov or at (213) 974-1417. Comment Review Period: The public review period for the Draft EIR begins on October 26, 2017, and ends on December 15, 2017 (50 days). If you wish to submit comments regarding the Draft EIR, please submit them in writing postmarked, faxed, or emailed on or before 5:00 P.M. on December 15, 2017. All comments received by the closing of the public review period for the Draft EIR will be included in the Final EIR and provided to the County Board of Supervisors for their consideration. A Public Meeting that will provide an overview of the Project and the findings of the Draft EIR will be held on November 7, 2017, from 6:00 P.M. to 8:00 P.M. at the Los Angeles County Museum of Art, Broad Contemporary Art Museum (BCAM) building. The Public Meeting will be in an open house format. No decisions about the Project will be made at the Public Meeting. Parking: Parking will be available at the Pritzker Parking Garage, which is accessible from 6th Street. Parking will be validated.